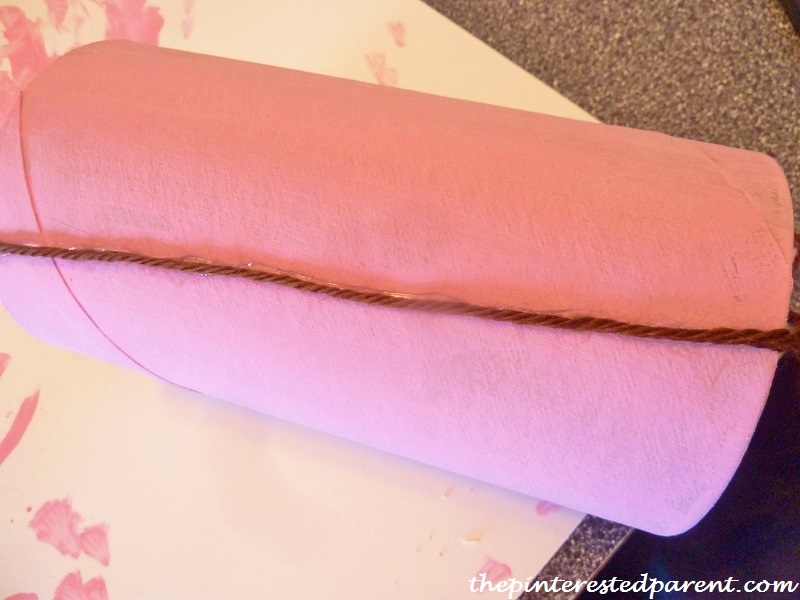 There are days that I have a particular activity or craft in mind. I have all of our tools out and ready to go, when Mai changes the whole plan with her own ideas. I have a set of wooden spoons that have seen better days. They were old & cracking and looking sad. 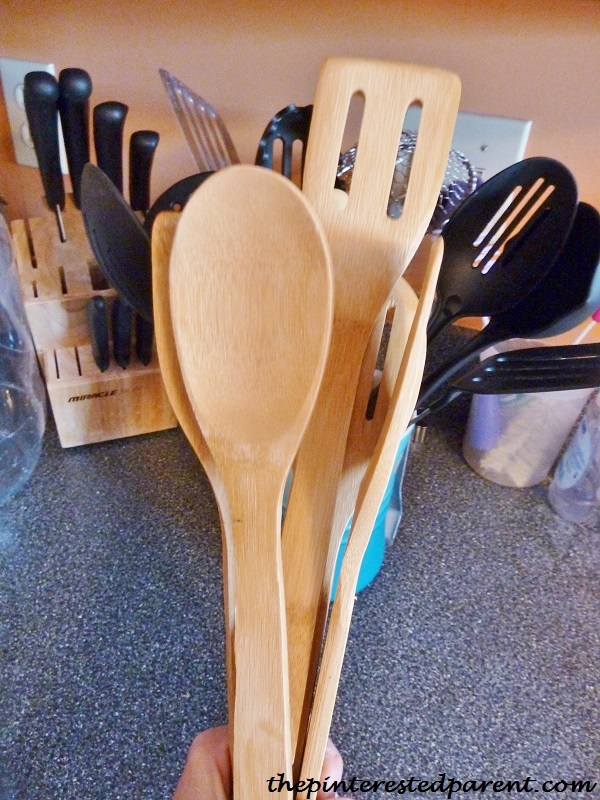 My mother-in-law bought us a new set of bamboo spoons, so it was time to get rid of my old ones. 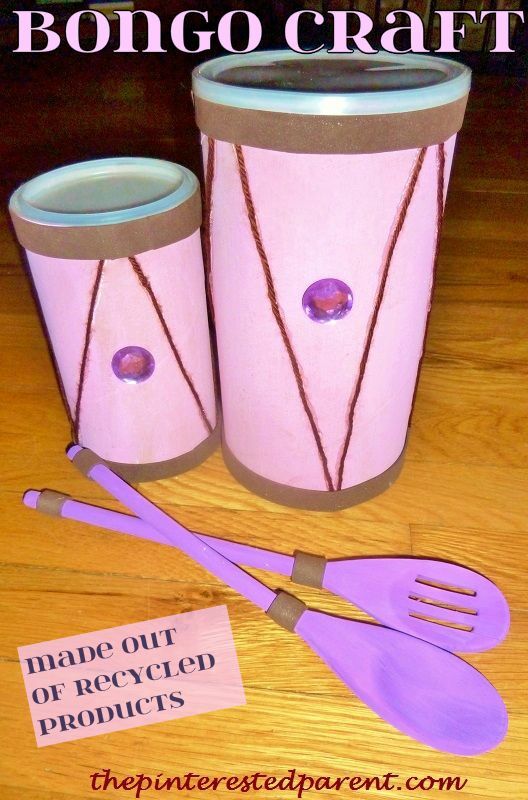 As I hate to throw out anything, I had a craft in mind for me & Mai. We were going to make spoon dolls. 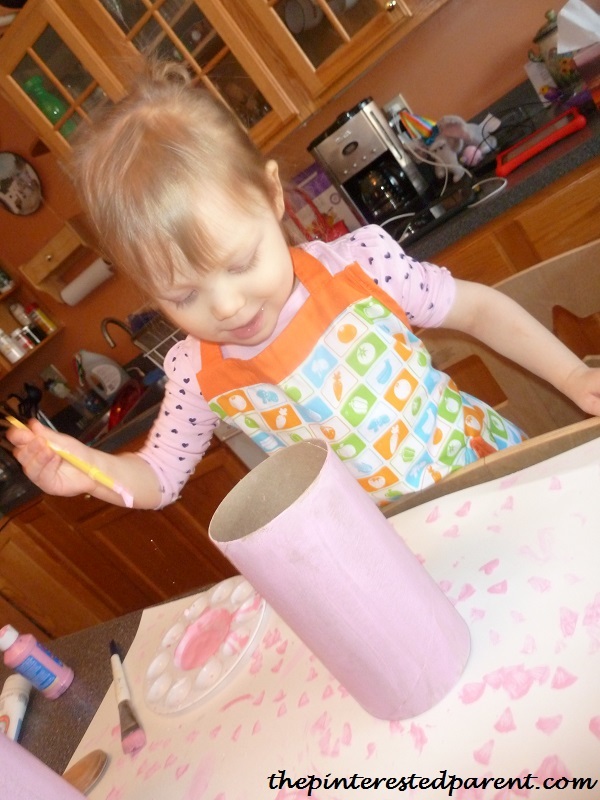 We had all the paint out and were about to start painting when Mai grabbed the spoons & a few containers and showed off her drumming skills. Far be it for me to try to argue with a toddler. 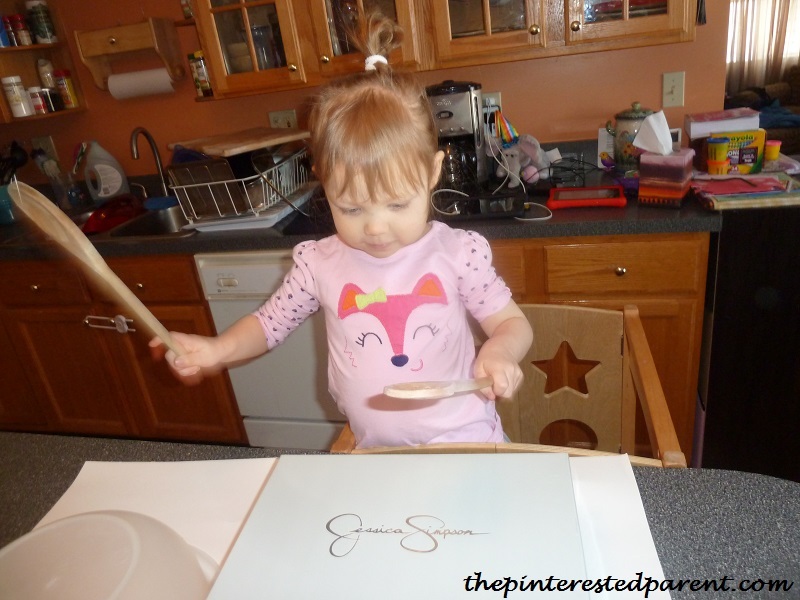 I would hate to take her drum sticks away to make dolls out of them, so we will keep them as drum sticks & make her a set of drums instead. 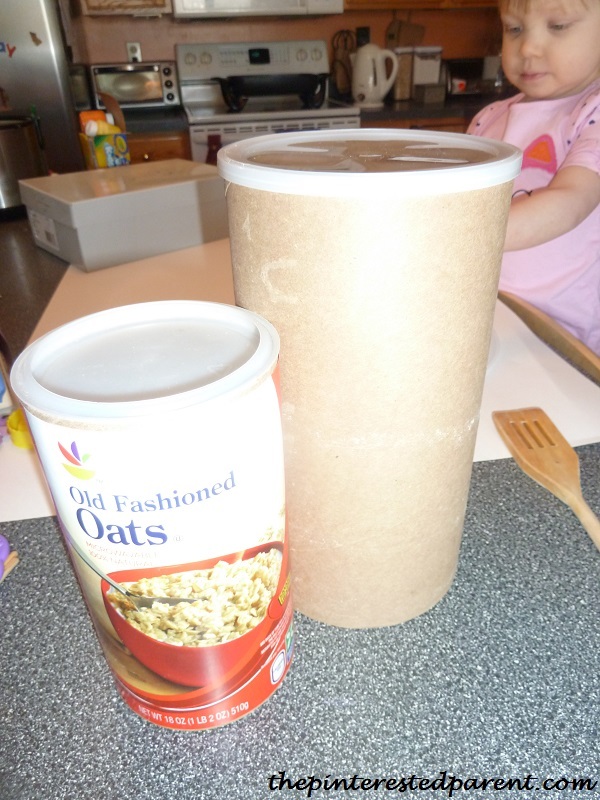 Optional items – Gems, glitter, tissue paper, pom poms etc..
Start with a clean & empty oat’s container. Peel off the label around the container. 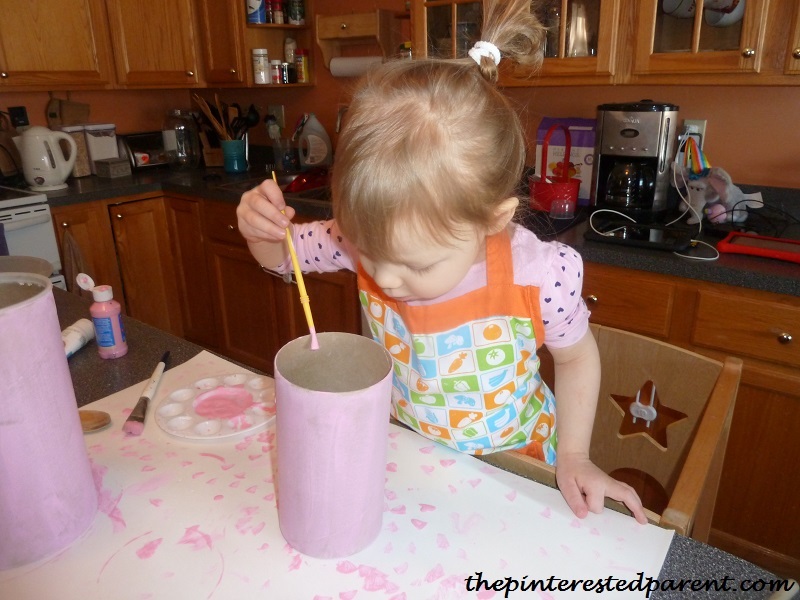 Remove the lids & paint your containers in a color of your choosing. 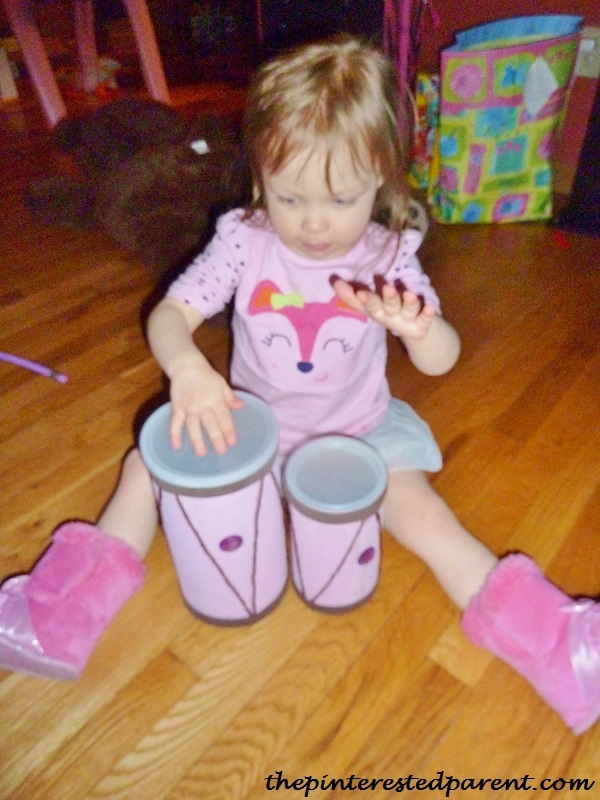 The drums had to be pink for our little princess. Mai was very thorough & wanted to make sure she painted the inside as well. I helped her smooth out the paint and fill in the bare spots. Let the paint dry. 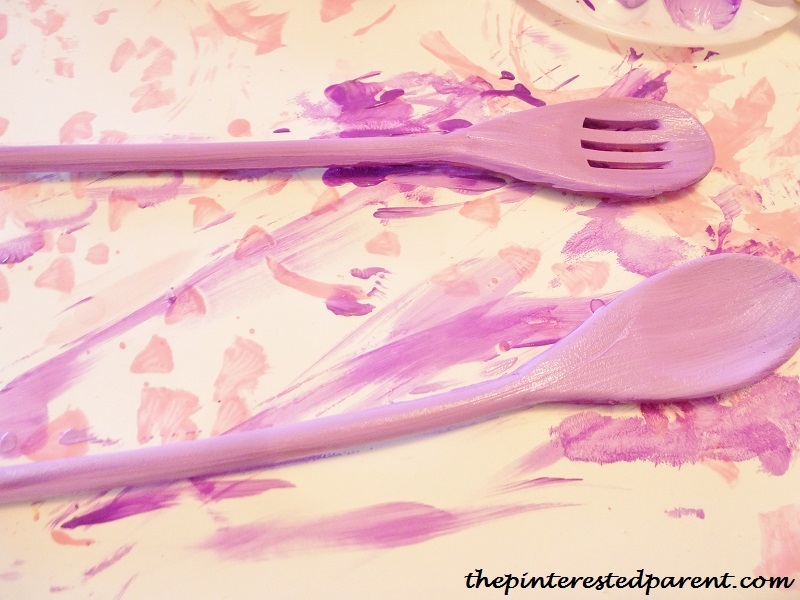 Paint your spoons and let dry. 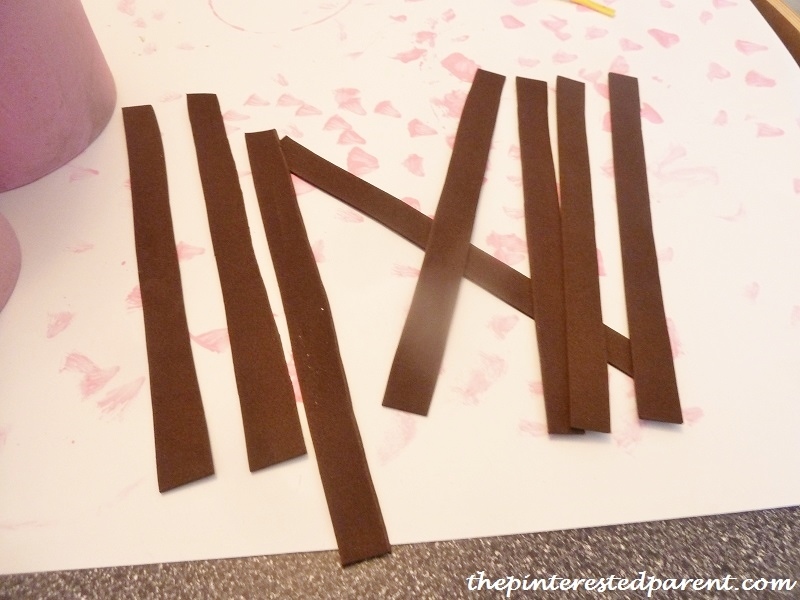 While your paint is drying, cut out some thin strips of construction paper or foam pieces. Put the lids back on the containers. 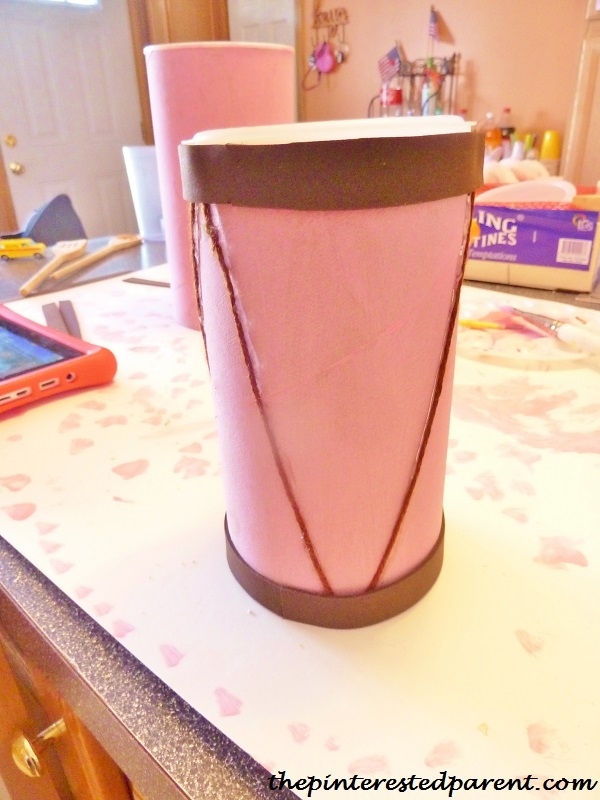 Wrap the pre-cut strips around the top & bottom of the drums. 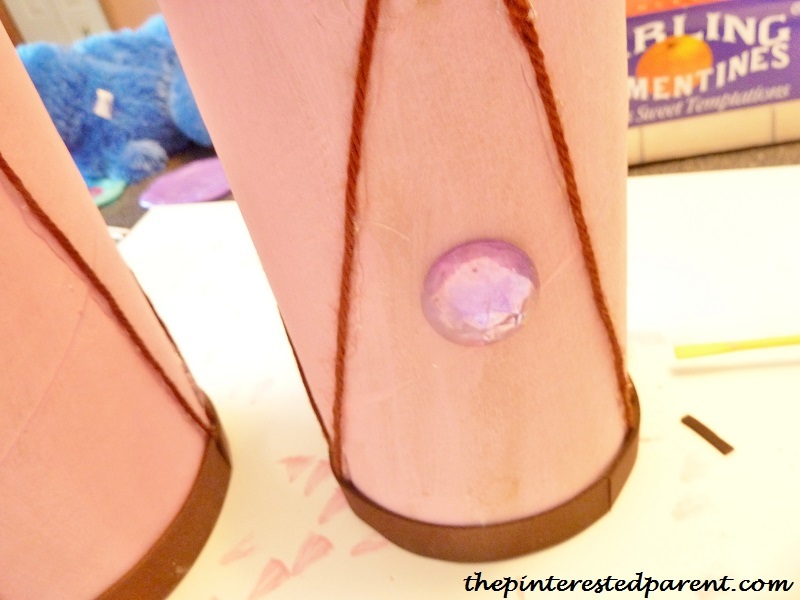 Use a hot glue gun to hold it in place. 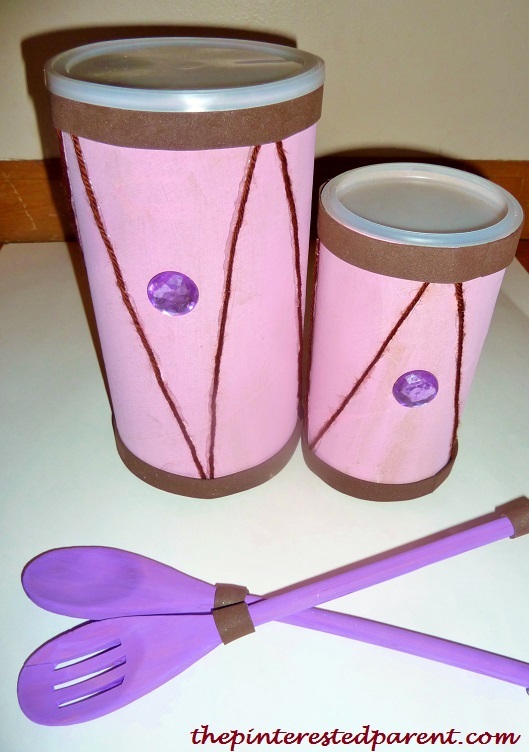 Use a few pieces to add to the top & bottom of your spoon handles as well. We added a gem between the centers of our zig zags on each side. 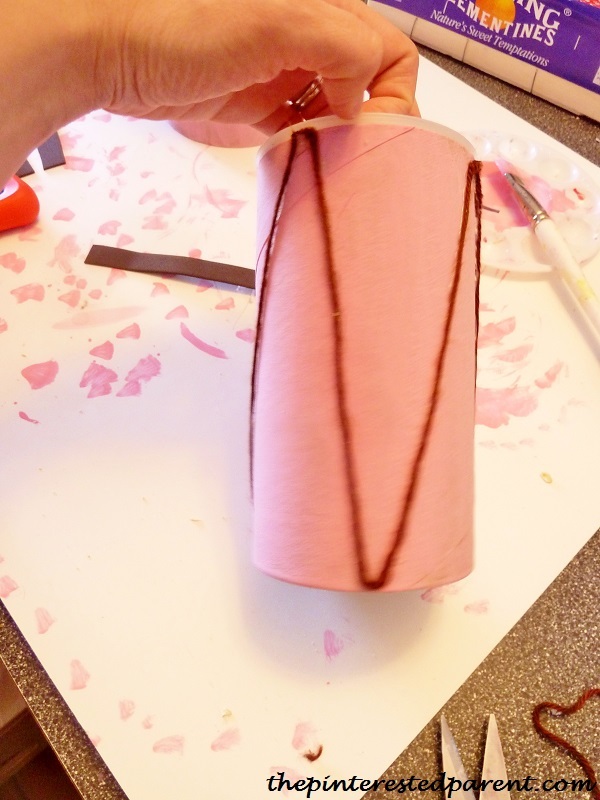 Use whatever craft materials you have available to decorate it in a design of your own choosing. 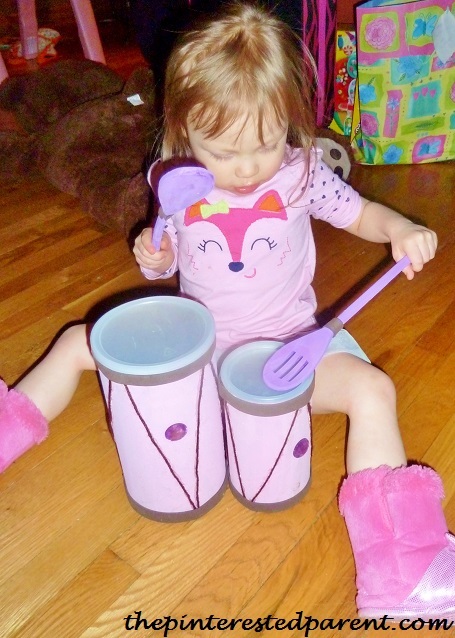 My little drummer rocked out both with her drum sticks and without. I think we have a future musician in our midst. Mai is definitely my kind of girl!!! This is really cool! I love that they actually look like drums! Thank you. They did come out cute and my daughter enjoyed playing them.